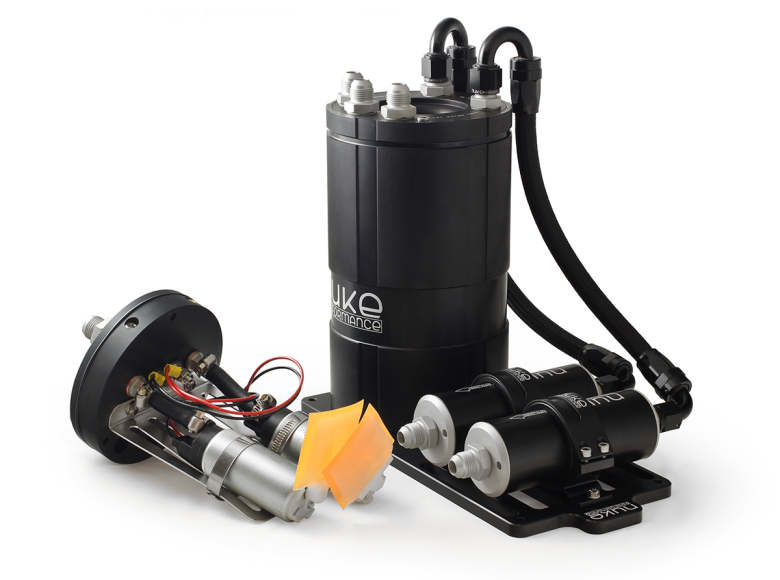 These kits combines the top quality Surge Tank with some of the most common internal fuel pumps on the market. 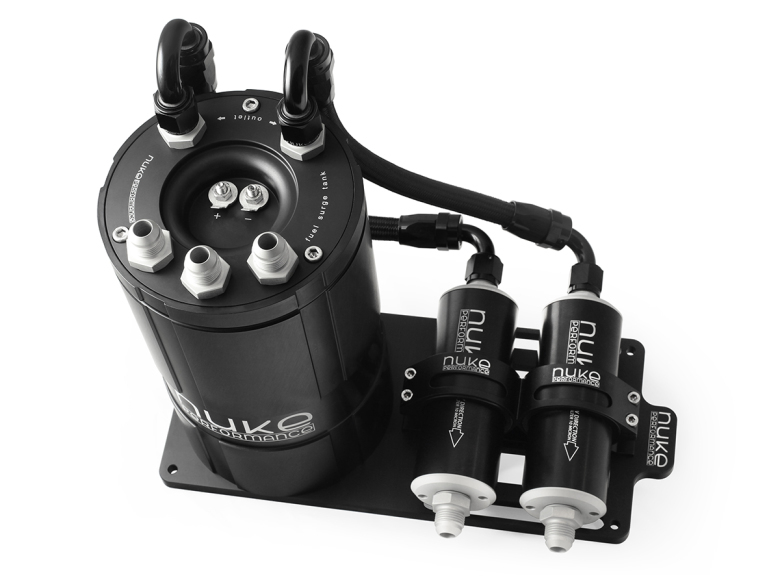 Choose between single or dual fuel pump setup and between listed fuel pumps. Delivered with 5x 3/4 AN8 fittings for all the top cover connections and 1x 3/4 plug if you choose to use it for a single fuel pump. 3/4 AN6-AN10 is optional and are sold separately but AN-8 is what is used within this kits.